Forget everything you thought you knew about trailer parks. These days, mobile homes are more “rural chic” and less Trailer Park Boys, year-round residences boasting hardwood floors, granite counter tops, walk-in closets and ensuite baths. Though well built and insulated, the price tags remain un-inflated, even with additional monthly fees for utilities, maintenance or a land lease included. Need to Know Sarnia sits at the mouth of the St. Clair River where it meets Lake Huron. This proximity to boundless blue water brings certain privileges, including beautiful beaches and boat cruises. The climate is temperate. The Blue Water Bridge offers quick entry into Michigan. Sarnia has several mobile home parks but the premier facility is considered to be Bluewater Country (above), with its own pool and community centre. From the Realtor “If you want to live in a detached one-storey dwelling at a fairly reasonable cost, and yet have no real outside maintenance, you can’t do it in Sarnia except for in a trailer park. Bluewater Country is a million-dollar facility. It’s gated, so you have that added security. And you are literally a five-minute drive to the border. If you go to Florida every year, you can knock hours off your drive. Sarnia’s one of the most beautiful best-kept secrets going, in my opinion!” — Steve Park, Magic Realty Inc. Brokerage, has sold real estate for 25 years. He’s spent his whole life in or near Sarnia. Need to Know Tiny Greely has its own community centre and Lions Club. Nearby rural towns offer a beer store, curling rink and two pizzerias. Yet it’s an easy 15-minute drive to urban Ottawa – probably why Greely has been pegged one of the fastest-growing villages in the Ottawa region. Greely also has Meadowlands Village (shown here), a 95-lot mobile and modular home community on 50 acres. From the Realtor “Meadowlands Village is a beautiful park. The smallest lots are 50 by 150 feet, so it’s not like the older parks where you reach out and touch your neighbour. You’re on land lease, so you have septic and water wells and taxes included. It takes all of the heaviness out of it. You have your green space where you can do your gardening. And you’re close to Ottawa. If I had a choice between living in a mobile home park versus a condo – no space, stuck on a little balcony, elevators – I’d be pressed. 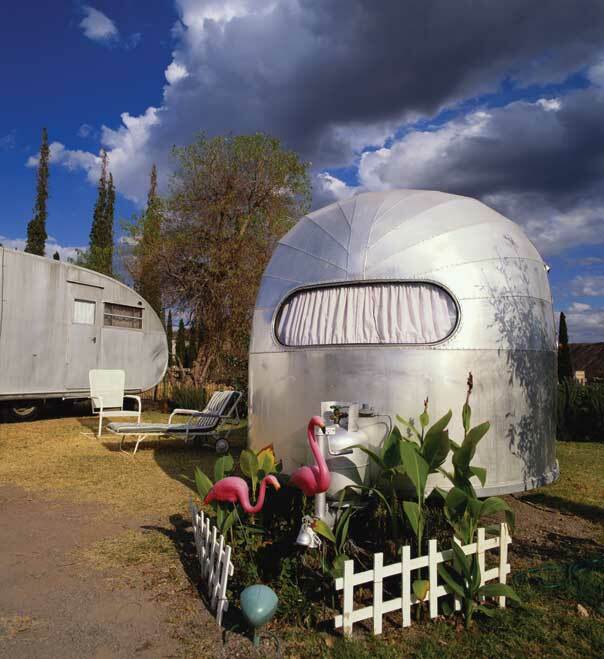 The time will come, I probably will be living in a mobile home.” — Joe Anne Legge (a.k.a. Mobile Queen), Keller Williams VIP Realty, sold her first house – a mobile home – 22 years ago.. Need to Know This northwestern city boasts a calendar full of cultural events, educational tours, and opportunities for a wide range of outdoor activities, from boating in summer to cross-country skiing in winter. There are more than 500 lakes and rivers in the Timmins region, and the city also has a thriving economy thanks to major employers in the mining, forestry, service and tourism sectors. — Marc Leroux, Realty Networks Inc., Brokerage, was born and raised in Timmins, and is one of this city’s biggest fans.